Indigenous groups in Mato Grosso took over a hydroelectric dam in 2010 that polluted vital fishing grounds and destroyed sacred burial grounds, demanding compensation and that no more dams be built without prior consent. The Dardanelos Hydropower Plant is one of a series of hydro projects on the Aripuanã that includes the Juína, Faxinal I, and Faxinal II dams. The project commenced in 2007 in the midst of lengthy legal and political battles that had started two years before. 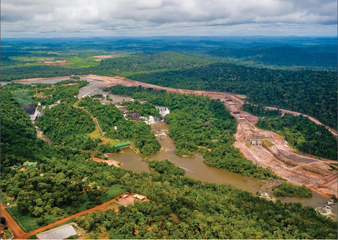 Before construction began, government authorities ensured that the dam would only indirectly affect indigenous territories in the region as it would be located outside indigenous land. However, because of irregularities and omissions in the environmental impact assessment (EIA), the state’s public prosecutor initiated legal action against a number of companies involved in the dam’s construction in 2005, demanding the cancellation of the EIA and suspending the project tender . Accusations included the omission of an impact assessment for the territory outside the municipality where the dam would be built and for the transmission lines. Despite claims that indigenous communities would not be affected, the construction process in fact directly threatened indigenous sacred and ancestral sites. In 2010 the Aguas da Pedra construction company blew up an indigenous cemetery. 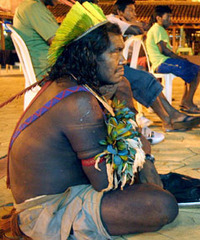 In response, on 25 July, 2010, an indigenous group of around 300 Brazilian Indians (some other media reports say 400, from eleven tribes, including about 50 Enawene Nawe Indians), equipped with homemade weapons like knives, bows and arrows, took over the Dardanelos hydroelectric dam, which they state has polluted vital fishing grounds apart from destroying sacred burial ground. They were demanding reparations for the damage done and that no more dams are built in the region without their prior consent. Despite wearing war paint and bows and arrows, the occupation was said to be non-violent and no injuries have been reported. Besides losing the burial ground, the Arara, the Cinta Larga and other tribes have been hit hard by the pollution of the Aripuanã river due to construction . According to Survivors International, they have caught almost no fish in the past two years and had to rely on farmed fish brought by the government. For the Enawene Nawe tribe, for whom fish is a vital part of their diet, this is preventing them from performing yãkwa, an important ritual in which they build intricate dams across the smaller rivers and trap fish in large baskets. The tragedy highlights the fragile state of relations between the region’s indigenous people and dam companies. In Mato Grosso alone there are 33 tribes, with an estimated 250,000 people. There are 77 hydroelectric dams planned for upstream of the area, with 5 already in construction. The occupation was over soon and the Arara and others went home later. But with so many dams proposed and under construction in the Amazon, the next confrontation is only a matter of time. Development of Alternatives Alternatives in the territories include the promotion of the area for ecotourism, in particular for visiting the Salto de Dardanelos, natural waterfalls very close to the hydro plant. Why? Explain briefly. The dam was built and is in operation now anyway, the indigenous groups were compensated by a series of social projects, but they still lost a sacred ancient burial ground and archeological site. Lees, Alexander C., et al. 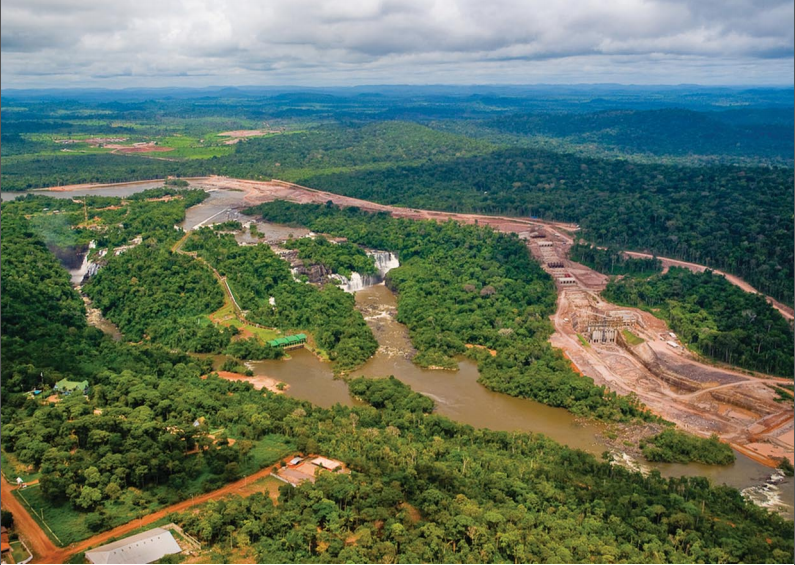 "Hydropower and the future of Amazonian biodiversity." Biodiversity and conservation 25.3 (2016): 451-466. Riethof, Marieke. "The international human rights discourse as a strategic focus in socio-environmental conflicts: the case of hydro-electric dams in Brazil." The International Journal of Human Rights 21.4 (2017): 482-499. O Estadao. Índios impedem hidrelétrica de funcionar. Barragem está pronta, mas tribos vizinhas promovem invasões e cobram compensação. Edna Simão, de O Estado de S. Paulo,15 Julho 2011. Indios brasileros Cinta-Larga toman rehenes para evitar grandes represas. 26 Julio 2010. Escrito por El polvorín.